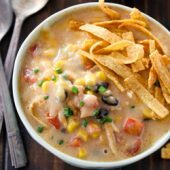 Hearty slow cooker cheesy Mexican chipotle corn chowder. Classic comfort food with a flavorful and spicy twist! I couldn’t be more excited that the chilly weather is finally here. I practically dream about this weather and season from the moment it ends. I’m super over the excessively hot summer temps so late into the year and ready for cool weather…. perfect for cozy clothes and comforting food. And let’s not forget my absolute favorite thing about this season… apples! My favorite farm is open and already has early season apples. My favorite varieties won’t be available for a while but it’ll be here before we know it. And every day closer to the start of fall and actually into it, means days closer to so many amazing things. Movies I’ve been dying to see. Pretty sure I have a list of books that I’ve been either waiting to read or waiting to be released. Of course there’s all of the new fall shows starting up or returning. There are only a few major downsides to this time of year, in my eyes. The first being getting up at the crack of dawn to get the kids up and going and out the door for school. I’d much rather sleep in. No alarms. So much more enjoyable. Another downside being our schedules. So insanely busy from the moment school started back up. We went from super low-key summer days to packed schedules and rushing around – between appointments and activities all week long. But I wouldn’t change it for the world. I’m enjoying watching my kids grow and learn and try new things… even if it means they’re not staying little like I’d love them to! It can be so hard to have sit down family meals when your schedules are super hectic and jam packed. And no one wants to have sandwiches every night. That’s why the slow cooker is one of my favorite kitchen appliances. You can easily toss everything in it in the morning and come back to a super delicious meal later in the day. Corn chowder is a perfect crossover food from summer and straight into fall. Of course, you can enjoy it year round but to me, it just screams late summer and early fall. It’s a super comforting meal, perfect for any day of the week… from busy work and school nights to super low-key days where you just don’t want to lift a finger. This is hands down the perfect meal for each and every one of those days. 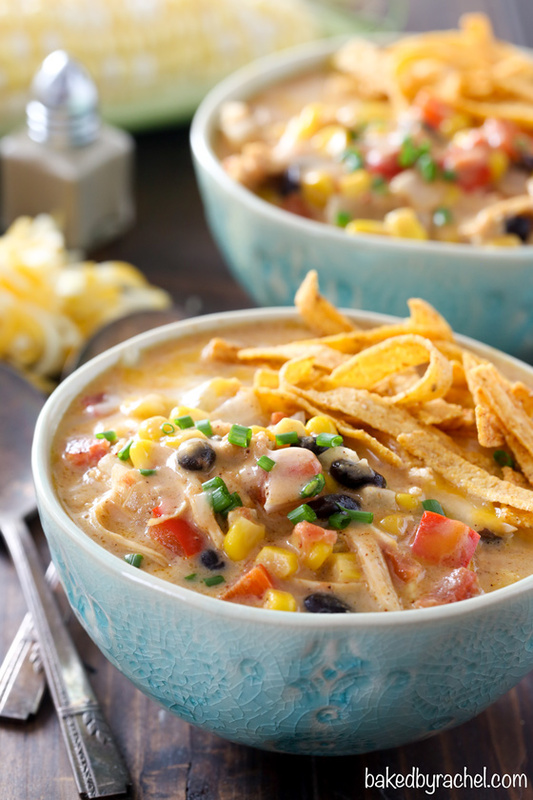 Slow cooker cheesy Mexican chipotle corn and chicken chowder. A fun and spicy twist on a classic dish. A perfect spicy kick that lingers as you enjoy each bite. Extra cheesy. And 100% delicious. 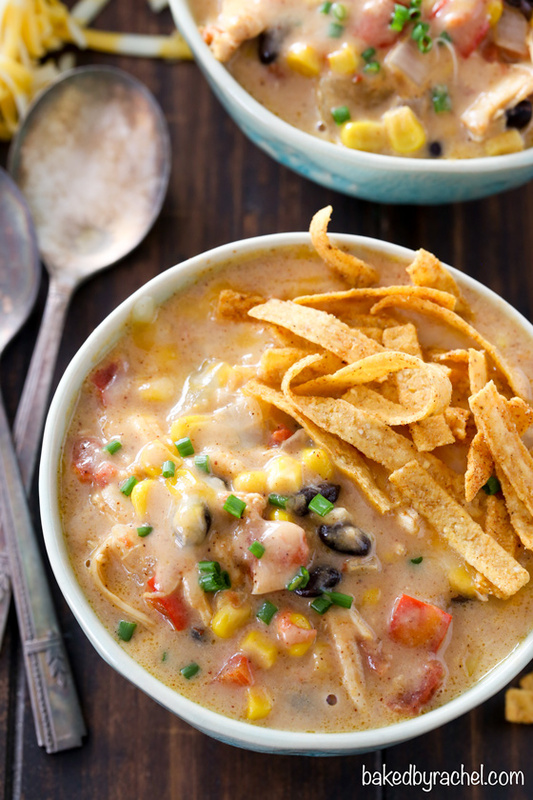 This cheesy chipotle corn chowder is hands down an absolute must for dinner asap! 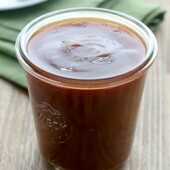 To a blender, add 1 cup corn, 1 chipotle pepper in adobo sauce and 1 cup chicken broth. Process until smooth. Set aside. To the bowl of a 6 quart slow cooker, add thawed uncooked chicken breast, vegetables, beans, seasonings and remaining chicken broth. Add pureed corn to slow cooker, stir to combine. Cover and cook on high for 4 or 8 hours on low. When the initial cook time is up, carefully remove chicken breasts. Shred with forks and set aside. Shred cheese and add to slow cooker. Stir to combine and melt. Whisk together heavy cream and cornstarch until smooth. Pour into slow cooker and stir to combine. Return shredded chicken to slow cooker. Cover and continue to cook for an additional 30-45 minutes. 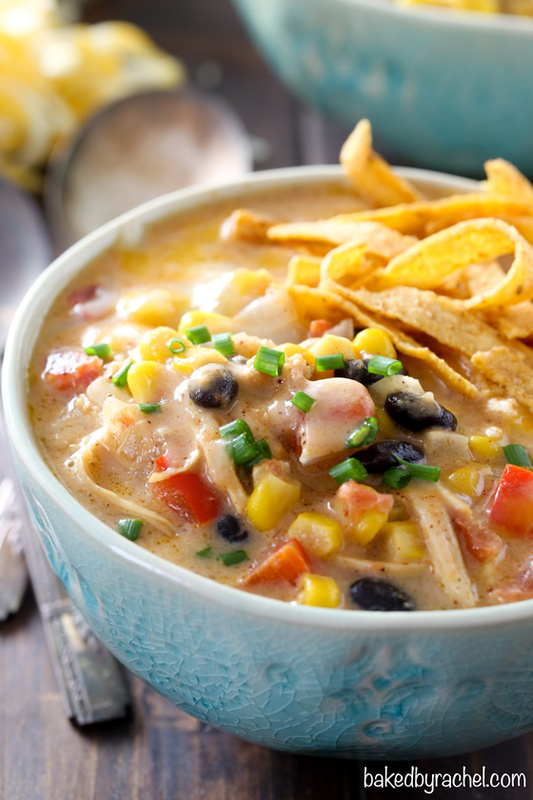 Serve warm with optional tortilla strips and extra cheese. This sounds delicious. 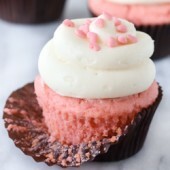 I am so glad you are back and posting your recipes! Thank you for a beautiful cheesy mexican chipotle corn recipe. Made this tonight for my family and the kitchen smells divine. It tastes even better. Just used this recipe yesterday, delicious! 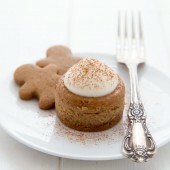 On my list of recipes to try this week! I really like these mexican recipes, they’re so full of flavor! What is the point of processing the corn and pepper? Can I skip that step? This step is for overall flavor, thickness and creaminess. For best results, follow the directions as listed.